During the class reunion this past weekend, we talked about candy. Funny how we all got to chuckling about it and then reminiscing of days past at the little league field, ball games, or whatever. 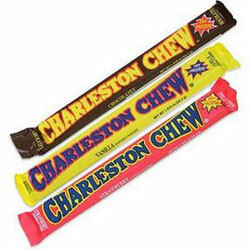 My fave was Charleston Chew. At the little league field, I’d get one–a frozenone–and gnaw on that thing forever! And don’t forget the Pop Rocks. Just don’t drink a Coke with them, right? This entry was posted in Uncategorized and tagged 80s candy, Catch the Rush, Charleston Chew, class reunions, Fun Dip, Google Images, Lynn Rush, Paranormal Romance, Pop Rocks, Throwback Thursdays by Lynn Rush. Bookmark the permalink. 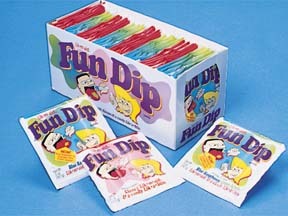 I liked that fun dip stuff. LOL! Did you see the Mythbusters episode about the pop rocks? They shattered that myth. It was sad to be disillusioned. I was always about Ring Pops, Nerds, and Sugar Babies. I don’t think I could touch one of these things now without passing out from a sugar rush, but ah…the memories! Great Throwback Thursday! 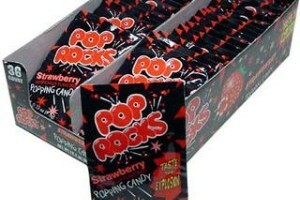 Oh, Pop Rocks….wow, that is a blast from the past. I was a big fan of Zots and Fireballs. 🙂 Happy Thursday, Lynn!